I asked Emily Midorikawa and Emma Claire Sweeney about how they wrote a joint book. They are the authors of ‘A Secret Sisterhood: The hidden friendships of Austen, Brontë, Eliot and Woolf’. They also run SomethingRhymed.com together, a website that celebrates female literary friendship. 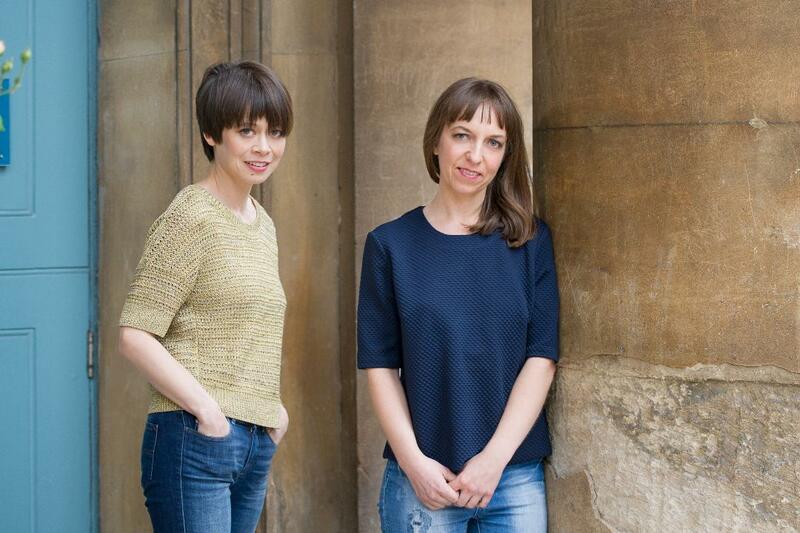 Emily is a winner of the Lucy Cavendish Fiction Prize, Emma is author of the award-winning novel Owl Song at Dawn. The piece that follows was originally written for Women Writers, Women Books. When we launched our website SomethingRhymed.com, we set ourselves a yearlong goal to research and write about a different pair of female writer friends every month. Well-wishers cautioned that we might struggle to find a dozen such duos, and this was something that worried us too. We knew all about Wordsworth and Coleridge, Byron and Shelley, Hemingway and Fitzgerald. But we struggled to name many female writer friends. We put out pleas on social media, asking readers to send in their suggestions. Much to our delight, the tip-offs came in thick and fast and passing references in biographies marked the beginning of research trails. Could we discover more about Anne Sharp, the amateur playwright friend of Jane Austen, who gets only a fleeting mention in accounts of the famed novelist’s life? Did the outspoken feminist author Mary Taylor influence the work of her school friend Charlotte Brontë? Did we know that George Eliot had maintained a lively correspondence with Harriet Beecher Stowe, the author of Uncle Tom’s Cabin? Were Virginia Woolf and fellow modernist Katherine Mansfield dear friends or bitter foes? We received so many interesting leads that we’ve accumulated sufficient pairs to keep the website going four years on, and we’ve also shared our discoveries in co-written articles for newspapers and magazines. In the early days of writing about female friendship, we would stay at each other’s places for days on end, sitting side-by-side at the same desk. We’d spend many a long hour debating the nuance of a particular narrative and arguing over the cadence of lines. Acquaintances feared for the survival of our friendship, but we felt grateful to have found someone who shared our fascination with female writers of the past, someone who cared equally about the placement of this comma, the trustworthiness of that source. With encouragement from readers of SomethingRhymed.com, we became increasingly convinced that the subject of female literary friendship ought to be explored in a full-length book. But over the long haul we clearly couldn’t sustain our time-consuming strategy of sitting side by side at a desk. 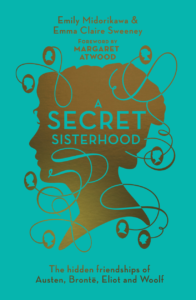 When we came up with a plan for co-writing ‘A Secret Sisterhood: The hidden friendships of Austen, Brontë, Eliot and Woolf‘, we divided up the research, accumulating stacks of papers that we ferried between our homes. This joint work would lead us to bundles of letters, yellowing with age; neglected wartime diaries; and personal mementoes stored in temperature-controlled rooms. We journeyed the length and breadth of Britain, deciphering documents in county libraries, and crossed the Atlantic to lay our hands on unpublished correspondence. Our travels took us from the spacious Connecticut summer home of Harriet Beecher Stowe to rented rooms in Bath where Jane Austen endured shrunken circumstances following the death of her father. This kind of research was not new to us since we had both been working for several years as lecturers. Although we taught at the same university we’d never studied together. And so, spending much of our free time scouring archives, we relished this second stab at studenthood. But while collaborating on ‘A Secret Sisterhood‘ would bring us much happiness, it would also create new stresses and strains. Leisurely conversations over coffee or glasses of wine were replaced by rushed updates, snatched in library corners, and nights out together sacrificed for evenings writing in our homes, working into the early hours. We divvied up chapters, assigning half each to work on separately. Once we had composed the first draft, we would send them off to each other to revise. During this intensive drafting period, we were in touch several times every day. But, ironically, we were so immersed in our joint work that we hardly had time to see each other. Indeed, we became so caught up in the minutia of the email attachments that pinged between us that we failed to discuss much else. Our lives had continued apace – the publication of a debut novel, family illnesses, a new relationship embarked upon – but we scarcely found the time to talk about these important events. Once we’d completed a full draft, we swiftly found ourselves spending plenty of time together again. At the beginning of the new year, we holed ourselves away for a week to begin working with our editor’s notes. Little did we know it then, but this marked the beginning of several months of spending most days (and more nights than we care to remember) cooped up together in one of our studies. We’d reward ourselves with a walk in the park once we’d revised a chapter, or a takeaway cappuccino when we’d proofread a section of the bibliography. And during these moments of reprieve, we caught up on the news that had accumulated in each other’s lives. Back at the desk, we’d return to the task of debating the structure of a paragraph or the credibility of a particular claim. The disagreements became so heated at times that an onlooker might well have assumed we were falling out. But the fiery exchanges never spread from the study, and we quickly learnt to apologise when we’d gone too far. Gradually we came to a realization. Usually neither of us was right during these arguments; by firing ideas back and forth, we came to new understandings that often incorporated the best of each of our thoughts. Co-writing ultimately helped us to slough off each other’s flaws and benefit from each other’s strengths, an experience that ultimately drew us even closer than we’d been before. Next week I interview artist, printmaker and teacher Sheila de Rosa, who is based in Tring, Hertfordshire. Having read and enjoyed A Secret Sisterhood far more than I ever imagined I could enjoy non-fiction, I approached this interview with great interest. Collaboration is a testing experience and I’m impressed by the honesty and trust that preserved this friendship through a challenge that could have damaged it. I recommend both the book in question, which at times was as compelling as any novel but is full of fascinating detail, and Emma’s novel Owl Song at Dawn, which draws on her love of her sister and is delicate but important. How interesting – wonderful to read this and to find out how other duo author teams go about co-authoring a novel. Totally different approach to my own co-author outing with Christina Jones. We didn’t discuss, meet up or plan. I wrote the book, she added her parts in and we did it remotely. Strangely it worked well. But, we share a past and a love of music and the 1960s so it was not that difficult. Remaining friends is fabulous and good luck to you both. What a fab experience and the result is going to be really successful I can tell. Wishing you much success with both your future projects as individual authors too. Congrats. Thanks, Jane. Everyone’s experience is so different! A great interview and a topic I’ve long been intrigued by. Thanks, Leslie.